Josh Vandenberk drives a 1986 Monte Carlo SS. His dad bought it for him when Josh was seven years old, and they’ve been working on it together ever since. 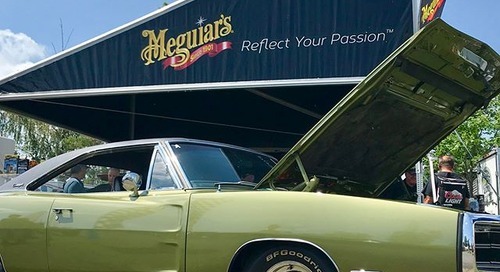 Now, Joshua is a regular at car shows and credits Meguiar’s for helping keep his classic car show-ready. Josh began working on his car when he was 16 years old. A few years ago, he started working with the Meguiar’s® Car Care Products and hasn’t looked back since. And now, he details his car practically every couple of days. Josh entered the #MeetBarryContest, offered by Meguiar’s Canada this past summer, and won the opportunity to meet Barry Meguiar from Meguiar’s and host of Car Crazy™ Television. Josh was thrilled to spend the day with Barry in person since a lot of what he’s learned about working on the Monte Carlo comes from watching Barry’s show. 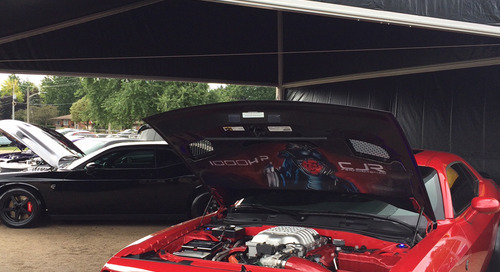 It was a once-in-a-lifetime experience to share his passion and show him his car. 1. 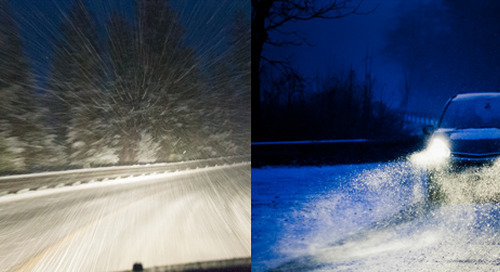 Meguiar’s® Ultimate™ Wash & Wax: Josh uses this in-between regular waxing to help protect his car’s finish. 2. Meguiar’s® Water Magnet™ Microfiber Drying Towel: It can take well over two hours to get his car just right, which is why he likes this drying towel. He doesn’t have to wring it out as much and the waffle texture helps him get a spot-free finish. 3. Meguiar’s® Smooth Surface™ Clay Kit This kit is all about helping make the waxing process easier and last longer by removing above-surface contaminants. It comes with Meguiar’s® Quik Detailer™ Spray, Meguiar’s® Supreme Shine™ Microfibre Towel and two clay bars to help safely remove paint overspray, fallout and environmental contaminants. 4. 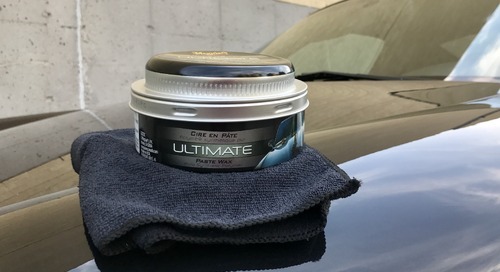 Meguiar’s® Ultimate™ Quik Wax Spray This spray helps keep Josh’s classic car looking sharp with a beautiful wet-shine look and provides additional protection. Plus, it’s easy to apply. 5. 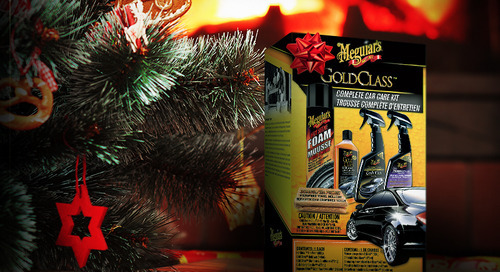 Meguiar’s® Hot Rims™ Aluminum Wheel Cleaner Josh loves his rims – particularly when they sparkle. That’s why he trusts this less-aggressive cleaner. An added bonus of this wheel cleaner is that it can also be used on all brake components. 6. Meguiar’s® Hot Shine™ Reflexion Tire Shine Nothing is more satisfying than getting the tires to shine with that deep, black, wet look. That’s why Josh uses this tire shine every time – especially before a car show. 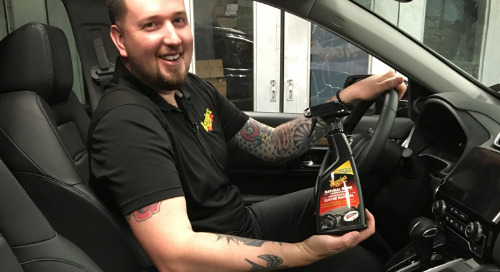 If you have a passion for your car like Josh does, you’ll use only Meguiar’s® Car Care Products on your ride. 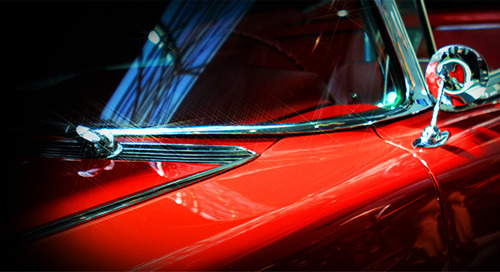 Find the products you need to keep your own car looking show-ready.